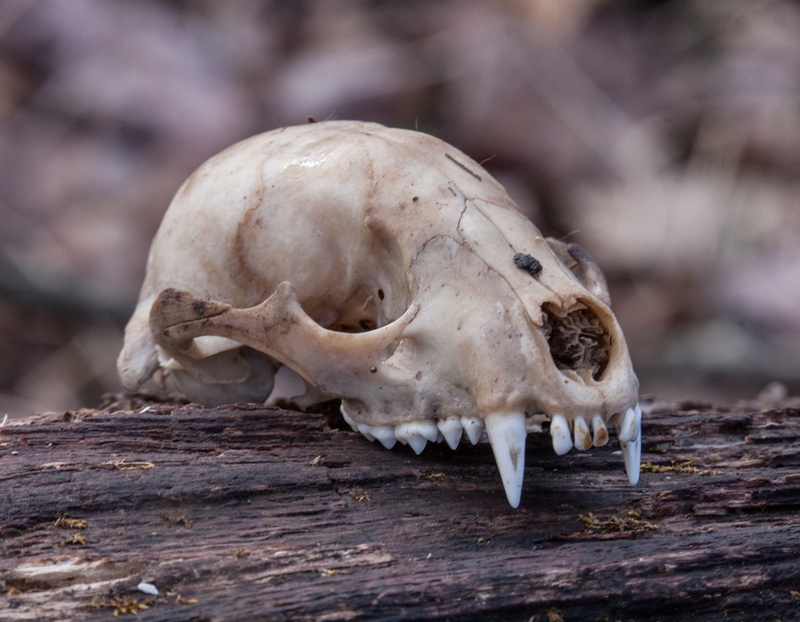 I never quite know what I will stumble upon when I wander about in remote areas of the woods, fields, and marshes of Huntley Meadows Park. 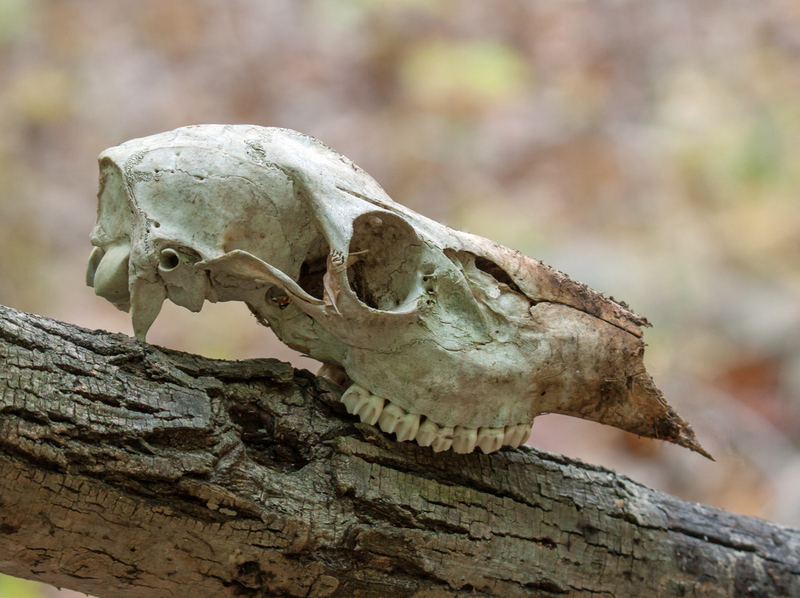 This past weekend I spotted this skull, which I guess is that of a White-tailed Deer (Odocoileus virginianus), a common species where I live. How did this deer meet its demise? 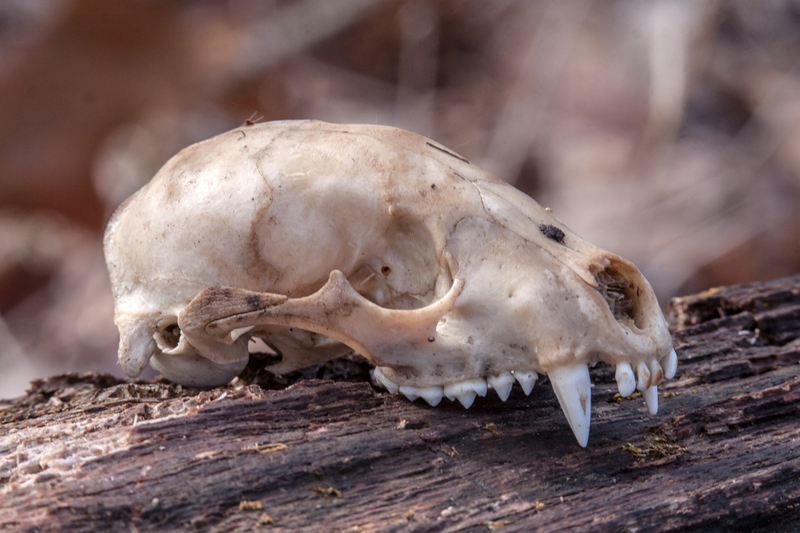 Was it old age, disease, starvation, or a predator? 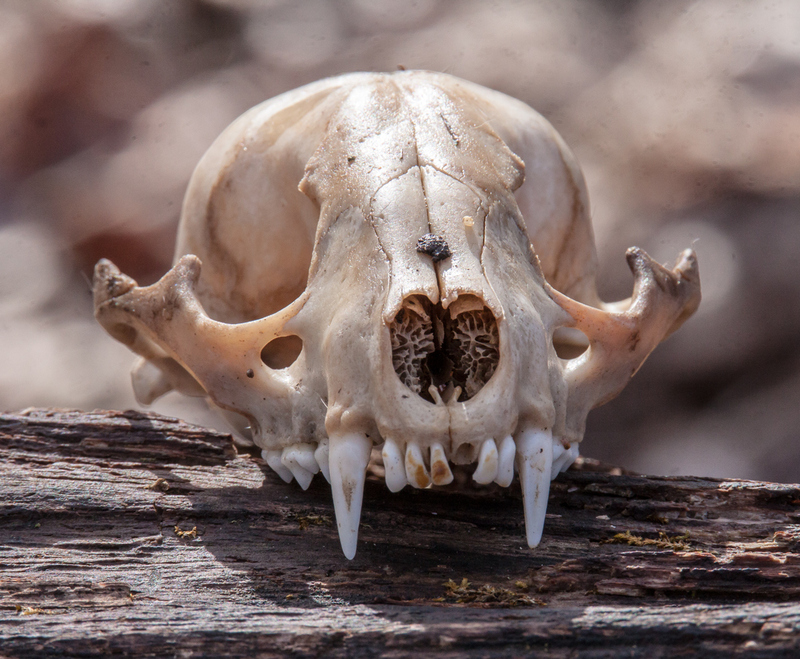 Somehow this simple image of a skull seems appropriate for Halloween Week. Happy Halloween in advance.